I thought of writing on a light hearted topic as my next blog post, somewhat deviating from all of my previous posts. I have been a business traveler for the last two decades and probably have flown over 2 million miles during that time. The law of chances should indicate that I should have run into some celebrities along the way. Yes…I have. Some or most celebrities have the luxury of hopping on their private jets to get from place to place. Others opt to sit in first class on commercial flights. But believe it or not, there are some stars who fly with the masses in coach. I don’t mean to be a name dropper, but I’ve waited behind Rev. Jesse Jackson in the breakfast buffet line at the San Francisco Hyatt. 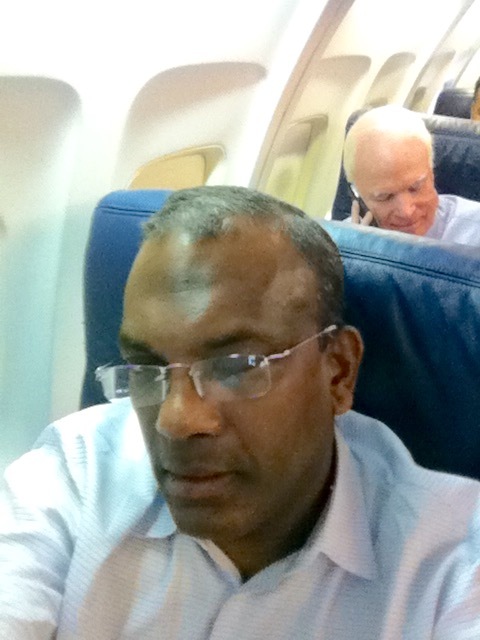 I also happened to sit next to Sen. John McCain in the US Air Club at the Phoenix airport and ended up sitting in front of him on the flight to Washington D.C. I have sat next to actor Gary Busey and changed my seat for him since he had surgery and wanted an aisle seat. Long time ago, I sat next to Joan Jett (of the Joan Jett and the Black Hearts fame) in first class on a red eye flight from LAX to JFK , but we barely spoke a word other than a cursory smile. Interestingly, I have sat next to Willard Scott, the famous weather man, in a plane during a delayed take-off due to a severe thunder storm. I have also sat next to Rep. Joseph Kennedy in the same row in coach on a DC to Boston flight and was standing next to former senator Olympia Snowe in an escalator at the DC airport. Once I saw Patty Labelle flying to Philadelphia during the holidays accompanied by her entourage who were toting a full set of expensive luggage. I stood behind Jack Valenti, long-time president of the motion picture association, at the security line at LAX while he was painstakingly placing all his belongings on the conveyor belt for scanning. I have also had a chance to run into celebrities away from the hustle and bustle of the air ports. I saw the respected 60 minutes reporter Ed Bradley dining at Emeril’s in New Orleans along with his crew. 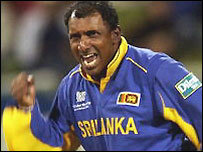 Once, I waited behind my all-time favorite cricketer Aravinda De Silva at the pastry shop in Colombo Hilton. I found him to be quite friendly and approachable. On the other hand when I ran into Dan Marino, the legendary quarter back, in a hotel elevator I just froze. I am not sure why I couldn’t even say a ‘hi’ or smile at him. 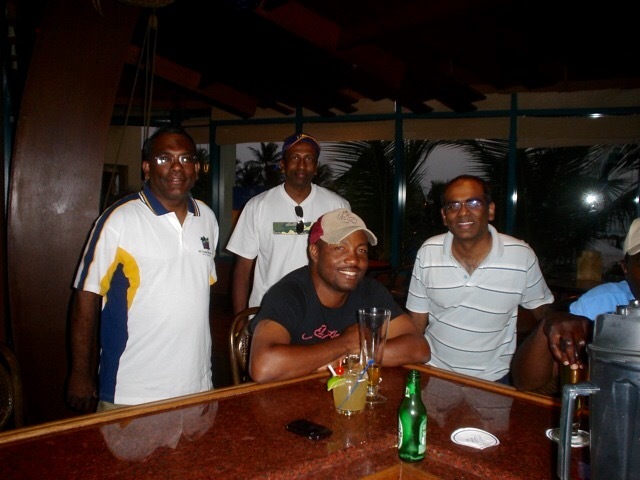 Being a fanatical cricket fan, I remember very vividly the time I met Ricky Ponting, Brian Lara, and Matthew Hayden, legendary all-time great cricketers in Barbados. 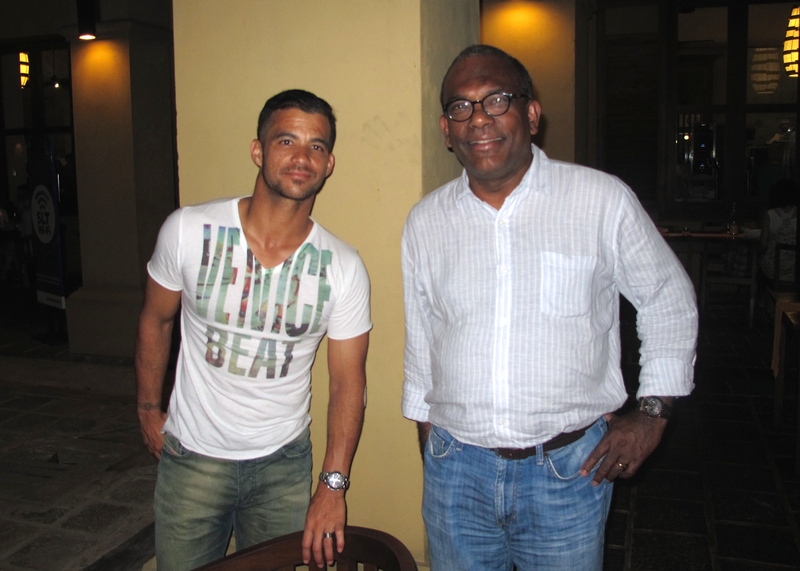 My family sat next to JP Duminy and his girlfriend during dinner at the Ministry of Crab restaurant in Colombo owned by Kumar Sangakkara and Mahela Jayawardane. He was very gracious during our conversation and agreeing to take a photograph. Long time ago in Chennai, India, I was carrying the bags after an all-day shopping adventure and was waiting for the elevator at the Chola Sheraton hotel with my tired wife and sleepy three year old daughter. They were able to get into the crowded elevator and I was left stranded due to all the bags I was carrying. When the next elevator came along, this beautiful young lady got into the elevator and felt sorry for me carrying all the bags. We started chatting and I was very pleasantly shocked to realize that I was standing alone with the reigning Miss World Aishawarya Rai in the elevator. Years later we were having lunch at the Taj Coromondel hotel in Chennai and realized that we were sitting next to the table where the actresses Jothika, Radhika and Namitha were having lunch. So goes the life of a very frequent traveler. Fly a lot and get upgraded frequently and you may have a collection of celebrity sightings and memories of smiling at them. There is something different about seeing these “distant” celebrities whom we see only on TV or read about and to feel that they are actual people, just like you and me. I know for a fact that none of these people knew I was with them and they just happened to be in the same place at the same time as me. I am not sure why and how I remember the details of these random sightings, but have a difficult time remembering some important events as I race against time. 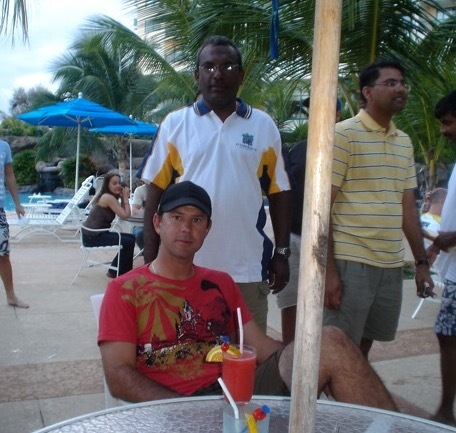 This entry was posted in Travel and tagged celebrity, cricket, travel. Bookmark the permalink.